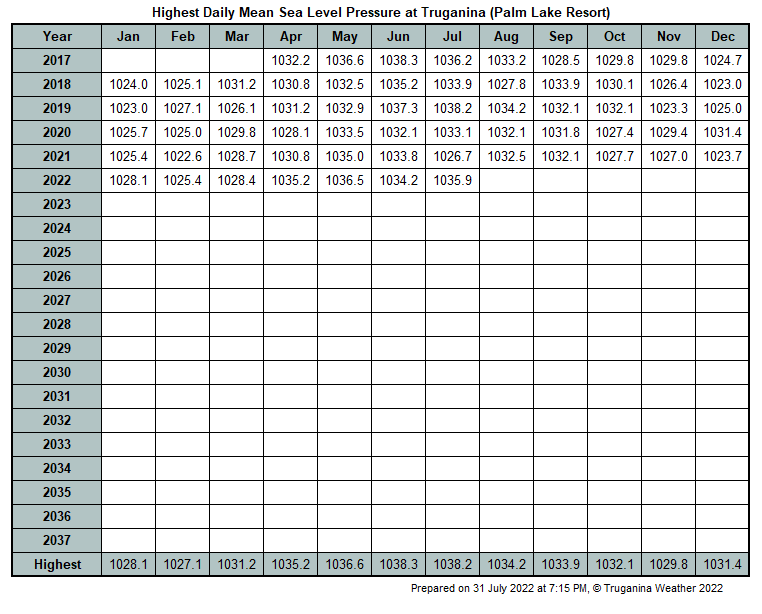 This table displays the highest mean sea level pressure each month. Read the explanatory notes for important information concerning the data in this table. The meteorological day for this climate variable ends at midnight, which conforms to standard ABOM practice.